From 8:30 to 5:00 PM Monday through Friday except public holidays. Other hours by prior arrangement. 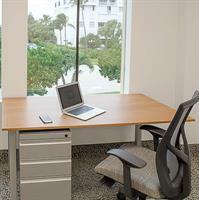 Symphony Workplaces is Palm Beach's premier work and meeting place. We offer furnished individual offices, coworking space, and Symphony Suites with workspace for teams of up to 20 people. Terms are flexible beginning with daily use, monthly, seasonal and annually. Beautiful professional level meeting rooms are available for 2 to 40 people for rental periods beginning at only one hour. Symphony Workplaces is a great alternative to hotel meeting rooms where quality and image are important to your business. Our landmark location on A1A is easily reached from the Lake Worth bridge with plentiful free parking. 2875 S. Ocean Blvd is easily accessed at the southern end of Palm Beach only 9 minutes from Worth Ave and near the Lake Worth bridge and the Four Seasons.